Couple problems these days are more ridiculous than serious. The inanity of the problems would actually make you smile if you were in your right mind. There are certain things that both partners need to stop doing to resolve their marriage conflicts. Seven things that they should not be doing in the first place can bring down the divorce rates in the world drastically. These things are no easy to give up because we are addicted to doing them. So treat these 7 points of what you need to stop doing as a rehab for your marriage. Here is goes. 1. Stop Waiting For Him/Her To Call First: Ego is the doom for every marriage today. You are going to gain little and lose lots in the bargain to maintain your ego. Talk, express and share, that is the key to making a relationship work. So the next time you feel like talking to your spouse, just give a call. Happiness is only a ring away. 2. Stop Competing With Each Other: This is the bad part about the modern concept of being ‘friends’ with your spouse. The elemental necessity of dependence in a marriage is just gone. Couples have problems when they start challenging each other in an attempt to gain supremacy. Competition is responsible for the rising divorce rates. 3. Stop Trying To Be Equal: A man and a woman cannot be equal in every way. That is why there two different gender categories to classify them. Marriage conflicts these day are more about proving points than any real issues. That needs to stop happening. 4. Stop Blaming Your Parents: If you cannot get along and make your marriage work then parents are your best scapegoats. I mean, each others parents. We are all touchy about our respective parents. This gives a powerful weapon in the hands of our partners to hurt us. Keep your parents out of your wretched fights. You owe them that much decency. 5. 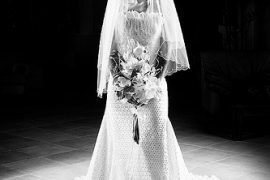 Stop Bothering About What Your Friends Said: When you tie the knot, you make a silent promise that your spouse will the closest person to you. So to preserve the sanctity of your relationship you will have to stop discussing marital problems with your friends and take their well meaning advise. 6. Stop Doubting Expecting Too Much: It is natural to have expectations from each other. But the hard fact is that they cannot do everything you like just like you cannot do everything they want. Couples problems will be reduced half if they understand this simple thing. 7. Stop Being Impulsive: You have one bad fight and feel that everything is over. A marriage well lived should have a at least 100 such ‘big’ fights. So go out, have a coffee and chill instead of taking a hasty decision to part. These relationship tips tell you what you need to stop doing in order to not end up getting divorced.